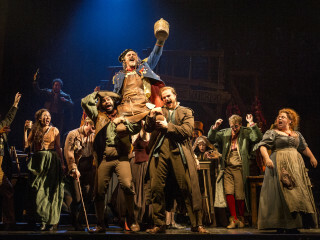 Cameron Mackintosh presents the new production of Alain Boublil and Claude-Michel Schönberg’s Tony Award®-winning musical phenomenon, Les Misérables, featuring new staging and dazzlingly reimagined scenery inspired by the paintings of Victor Hugo. Set against the backdrop of 19th-century France, Les Misérables tells a story of broken dreams and unrequited love, passion, sacrifice and redemption - a timeless testament to the survival of the human spirit. Featuring the thrilling score and beloved songs “I Dreamed A Dream,” “On My Own,” “Stars,” “Bring Him Home,” “One Day More,” and many more, this epic and uplifting story has become one of the most celebrated musicals in theatrical history.